Simon Business School senior associate dean for program development Ronald W. Hansen has announced his retirement, effective September 30. 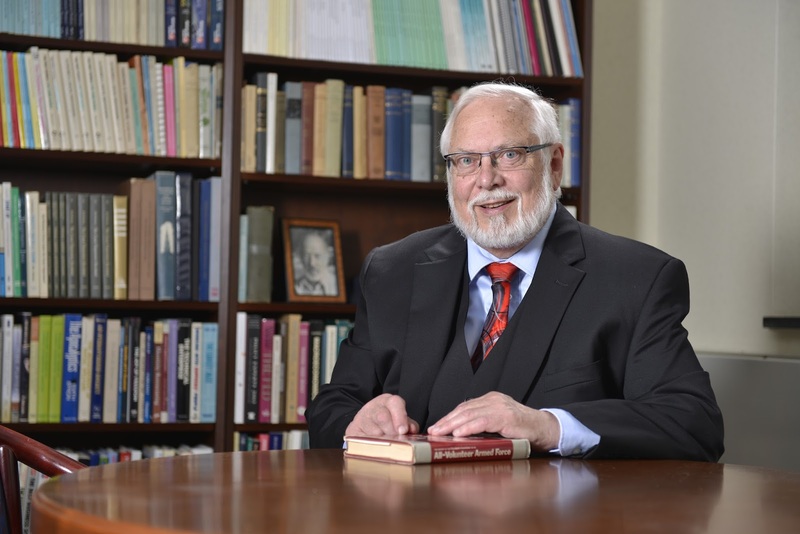 A longtime administrator and faculty member, Hansen had an indirect association with the School in 1969, when he served as a consultant on the President’s Commission on an All-Volunteer Armed Forces. The commission’s study team, which was led by former Simon dean William Meckling, was charged with studying the feasibility of eliminating the US military draft. The Commission had as its members former chairman of the Federal Reserve Alan Greenspan, legendary economist Milton Friedman, and former University of Rochester president W. Allen Wallis. In 1971, Hansen joined the Simon faculty as an assistant professor at what was formerly known as the University of Rochester’s Graduate School of Management, a position he would hold until 1977. That year, Hansen was named the associate director of the Center for Research in Government Policy, led by his mentor Karl Brunner. The center would later be named the Bradley Policy Research Center. Hansen earned a PhD in Economics from the University of Chicago, where he also received his master’s degree. His undergraduate work was at Northwestern University, graduating in 1966 with a bachelor’s degree in Mathematics. Hansen would leave Simon in 1986 to become associate professor, Merrell Dow Professorship, in the College of Pharmacy at The Ohio State University. Research and development in the pharmaceutical industry would become the focus of Hansen’s scholarly work. He authored and co-authored three highly cited papers, which appeared in the Journal of Health Economics. He helped to establish and collaborated on research with the Tufts Center for the Study of Drug Development, and was on the editorial board of the Journal of Research in Pharmaceutical Economics. Hansen also wrote several academic book chapters that concerned government regulation of the pharmaceutical industry. 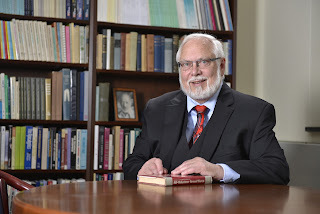 Hansen returned to Simon Business School in 1988 as the associate dean for academic affairs, later retitled senior associate dean for faculty and research. In 2009, Hansen became the senior associate dean for program development and the William H. Meckling Professor of Business Administration; he was also named director of the Bradley Policy Research Center, which he led until 2014. During his years at Simon, Hansen led the development of new programs, including the undergraduate business program and the Technical Entrepreneurship and Management (TEAM) MS program. He was also responsible for international program development, including European Executive MBA programs and programs with KAIST and the University of Chile. Hansen frequently hosted international students at his home, and each year from his collection of 100 official flags, he would fly the colors of the countries with students in attendance. In 2011, former Simon dean Mark Zupan established the Elizabeth S. Hansen Award in honor of Hansen’s late wife, a 1974 graduate of the Simon Business School Master of Science program. The award is presented each year at commencement to the graduating student who has the highest grade point average in the MS program. Our heartfelt congratulations to senior associate dean Ron Hansen. We thank you for a career that spanned the terms of six deans, touched the lives of thousands of students and alumni, and contributed to the academic excellence of the Simon Business School.